Experience required: Previous experience with snowmobiles preferred. In some cases a person with an intuitive ability to operate an automobile or motorcycle is allowed. 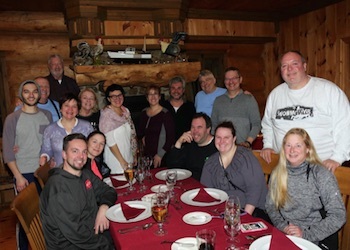 A reasonable person might wonder; how are gourmet dining and snowmobiling related? Over the course of our travels in Quebec, we noticed that in addition to ordinary hotels and restaurants, a number of reasonably priced inns were available as well. 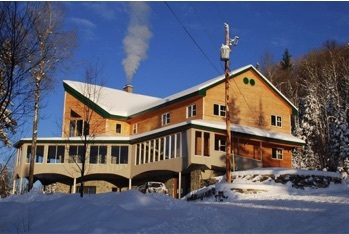 A closer look revealed that these inns which are referred to as an "auberge" in Quebec, offer exceptional cuisine in an upscale setting, and specifically target the discriminating snowmobiler. 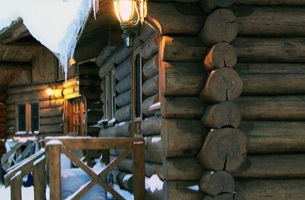 We have chosen for this trip, a handful of small inns, all of which offer a unique blend of rustic elegance. Most of the inns we visit are chef owned. Many of the chefs have been trained in France and prepare creative and inspired cuisine with a Quebecois’ twist. Main course choices include duck, salmon, wild boar, moose, beef, chicken and pork. The manner in which the offerings are prepared and presented is nothing short of exquisite. Typically, the group will have some interaction with the chef for explanation and information regarding the "menu du jour". We are happy to provide you with a sample menu. Gourmet Tour is not merely a trip, but an unparalleled adventure experience. Our tours are the direct result of over thirty years of exploration; searching for Quebec’s best groomed trails and most scenic areas. 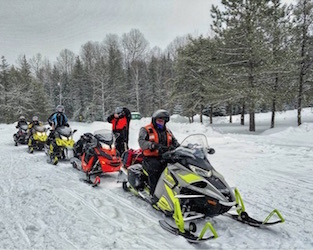 This experience taught usthat snowmobiling along heavily traveled principal trails was the recipe for a satisfactory trip. An adventure experience however, is achieved only when one ventures away from the standard routes and into outlying areas. The highlight of this trip is riding on expertly groomed trails, through forests, fields and over stunning mountain ranges. 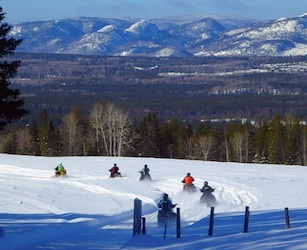 The Trans-Quebec trail system is a comprehensive network of trails designed exclusively for snowmobile travel. The trails are wide and smooth, essentially a white highway made of snow. Learn what the thousands of Europeans who travel to Quebec every winter for snowmobiling already know. You must experience it to understand it! The gourmet trip appeals to people with high standards and discriminating tastes. The client's role in trip preparation is basically limited to blocking off the necessary time and arriving ready, willing and able to experience the time of their lives. We are close to an international airport, making it easy to get away. People with varying backgrounds and occupations have enjoyed our trips including: attorneys, physicians, pilots, CEOs, chefs, writers, entrepreneurs and engineers to name a few. A common thread among our clients is their desire to experience an adventurous, unique and well planned winter adventure. Some are intrigued by the European culture and absolute beauty of Quebec. 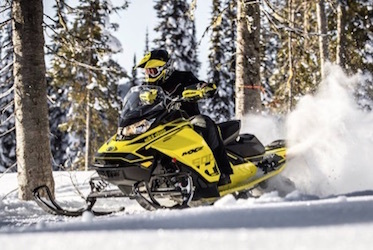 Others enjoy the performance of our technologically advanced snowmobiles and the impressive nature of the over twenty thousand mile trail system. The Manoir Richelieu is a 5 star resort located in Charlevoix and overlooks the Saint Lawrence River. 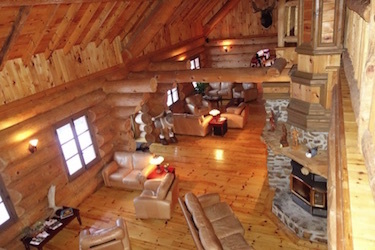 The Pourvourie Ravage is a sophisticated “off grid”, log cabin, located in the deep forest of Charlevoix. Rustic ambiance, friendly staff and five courses of regional cuisine create an exceptional experience. The Auberge Carcajou was designed and hand built by the owners with lumber felled and milled on site. The inn's interior is open and beautiful. Most of our trips include a one hour tour of the world famous Ice Hotel. 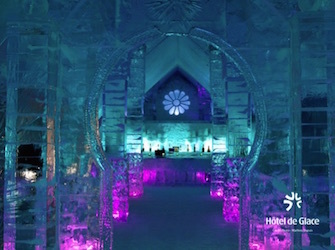 The hotel is built every year with ice brought from as far away as Montreal and features a disco, cafe bar and a church! 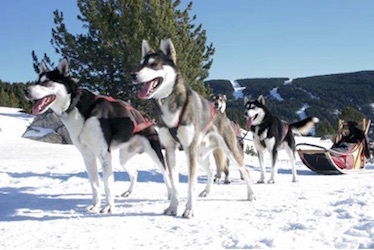 Many trips offer an hour or two of dog sledding. The dogs live to pull the sled, and are they fast! We offer for rent current year, high performance snowmobiles with warm clothing for your trip. Our snowmobiles are environmentally friendly, comfortable and have electric start, reverse and heated handlebar grips.